Flood uplight. 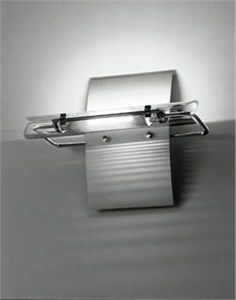 Ideal for general direct and indirect lighting. Aluminium reflector, brass and aluminium structure, Pyrex glasses. Reflector in anodized aluminium. Arms in polished chrome. Transparent protection glasses. Wall mount only. Suitable for installation on normally inflammable surfaces.